Construction jobs require the right amount of heavy equipment to complete the task. While tools are an important aspect of any project, an even bigger need is the correct type of construction equipment to get the job completed physically. 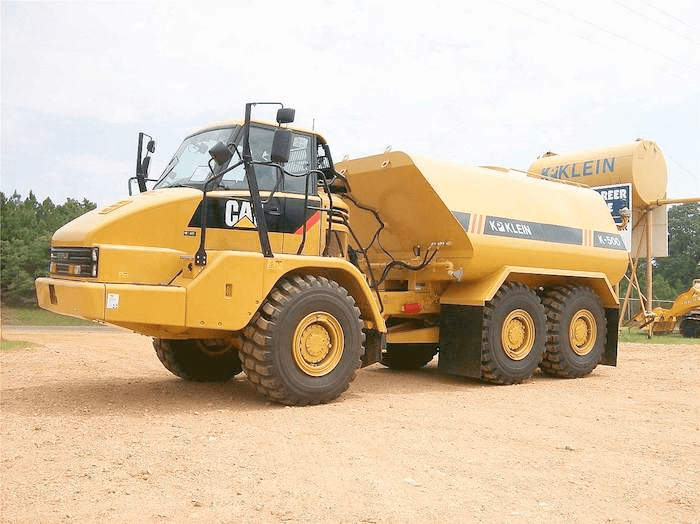 Most notably, construction vehicles, such as water trucks, are a need that many businesses may not have readily available at their construction site. So, what exactly is a water truck? It is best defined as a work truck equipped with various nozzles to spray away unwanted debris and water mines within a construction site. Besides the environmentally friendly aspect of this truck, it also has been referred to as a safe vehicle to use, since the drivers can control the nozzles. This ensures the adequate amount of water is used for the job, while avoiding over-watering the workspace, thus lessening the risk of creating slippery pathways. Water trucks are used to clean and replace existing water most often. For example, if a drain is dirty or if large amounts of water need to be moved to a remote location, such as quarry sites, a water truck is useful. Most notably, if an area does not have clean water for drinking, these trucks have the ability to bring fresh water to an area in need. Before this invention, an object referred to as “hydraulic motoring” was used. Due to its high pollution, it was eventually banned, thus leading to the creation of the water truck, which is environmentally friendly. 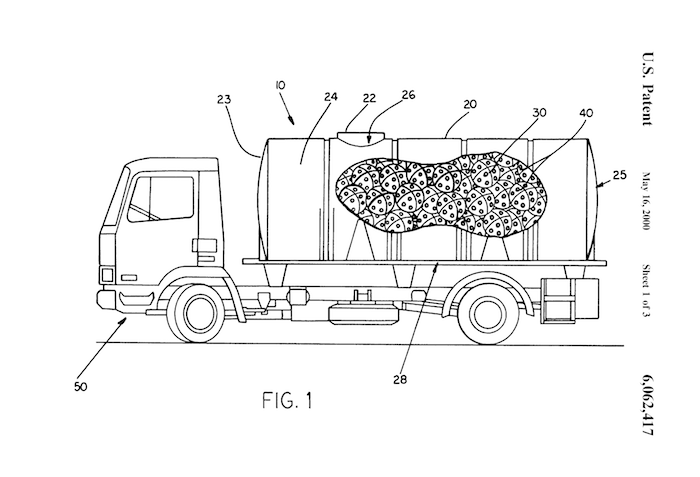 Several patents are related to the water trucks. One of the most notable related patents is patent number US6062417A, the Liquid Storage Tank and Non-Permanent Baffle System. Similar to the water tank, the tank stores liquids but has multiple spherical, floating baffles that absorb energy when agitated. The Fluid Tank Baffling System, patent number US9493068B2, stabilizes water while the vehicle is in motion regardless of direction. That way, this ensures the truck is stable and thus lessens the risk of tipping. There are several companies currently manufacturing water trucks. Two of these are Pacific Rain Inc. and McLellan Industries. 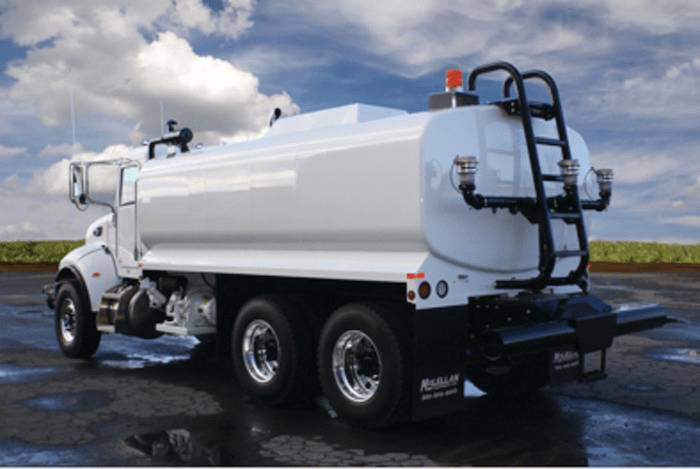 Pacific Rain manufactures a standard water truck that comes with several options for gallon size. 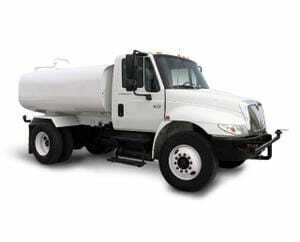 The buyer can choose from a 2000-, 2500-, or a 4000-gallon tank for the water truck. McLellan Industries offers two water tanks, option A and option B. The differing factors between the two are the size and shape of the tank itself. In addition to choosing between the two tanks, there is an option for various spray nozzles, such as a front-spray option or a rear-spray option. 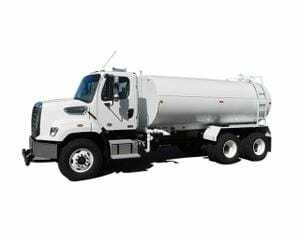 Depending on the job the customer wishes to complete, the 2000-, 2500-, or 4000-gallon truck tank are popular models to choose from. While these are considered standard and the more popular type, less popular but available options would be the electric swivel spray head or the water cannon for an additional charge. McLellan advertises that both models A and B are available based on preference, but the most desired additions to the trucks are the various spray options. To learn more about customer opinions and reviews, visit manufacturer websites which typically offer client testimonials and ratings to help further your research. If you need to transport something other than water during your construction project, you may want to consider renting a dump truck. Dump trucks operate through the use of hydraulic mechanisms, which allow the box in the back to tip, tilt, or lower the load in order to unload the transported materials easily. Prior to the dump truck's invention, the operation and aesthetics of dump trucks were much different. They started as boxcars pulled by horses, similar to the carriages used as transportation at that time. There are several types of dump trucks to choose from, so you can choose one suited for the type of job that must be completed. 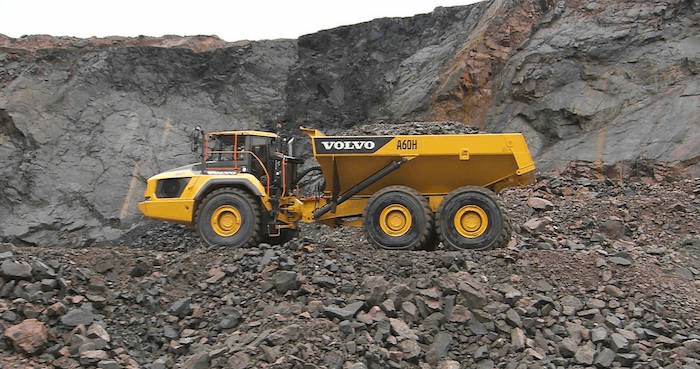 Dump trucks offer various load sizes, which are based on the type of material that needs to be transported and dropped off at the endpoint location. A popular manufacturer of the dump truck is Volvo. 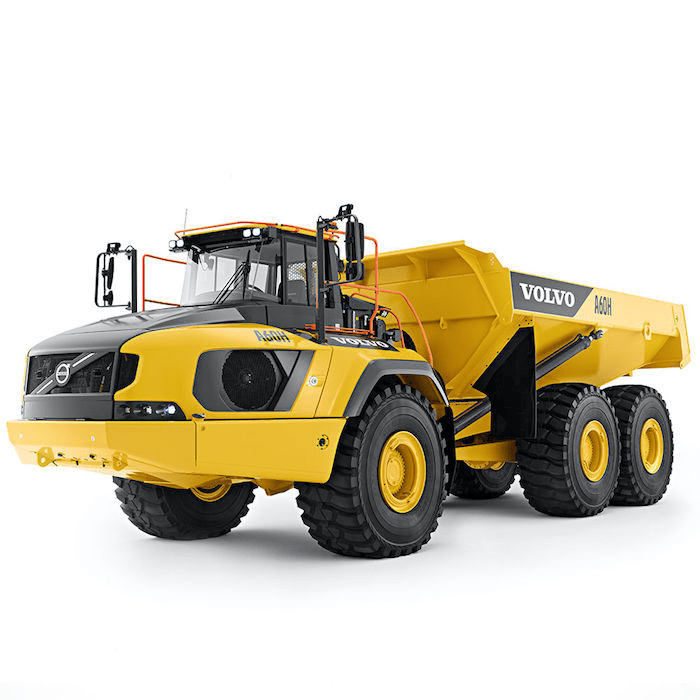 Known as articulated dump trucks, Volvo offers multiple styles of these models based on job type. The A60H model is used for transporting large quantities of material both on road and off road in a safe and efficient manner. Are you ready to move forward with your big construction project? Let's take the next step to protect you and your staff by offering our training courses! Contact BigRentz at (888) 325-5172 to discuss renting a water truck or a dump truck for your next project!